We're often asked about old quilts and textiles, and sometimes we're helpful in placing items into perspective by style and fabric. If you haven't worked with fabrics all your life or if you aren't as old as we are, you may not know some of the characteristics of the eras. Here are some tips that may help you identify when your quilt was made. 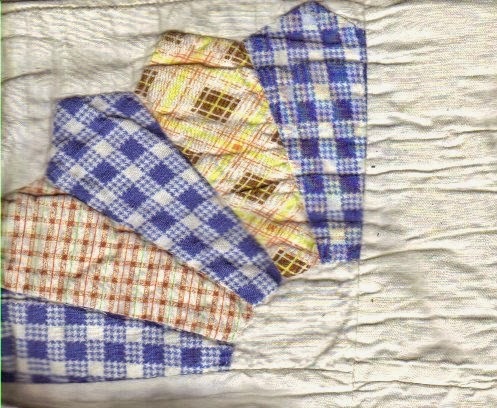 Nineteenth Century quilts are often made of wool and dark colors. Twentieth Century quilts are lighter colors and fabrics. Typically, colors during wartime are darker than in peace. Hold the quilt to the light. Quilts were made with batting that had cotton seeds early in the 20th century, and holding a quilt up to the light shows what the batting looks like. If it has seeds and isn't consistently the same throughout the quilt, you may have an early 20th century quilt. The quilt above with the white background and the fan pattern shows cotton seeds when held to the light. Feel the fabric. Quilts after about 1960 were often made of permanent press fabrics, after these fabrics were available. Dupont introduced nylon in 1938 and Dacron about 1950. Ruth Benerito, credited with developing permanent press fabrics, recently made the news upon her death at 97. 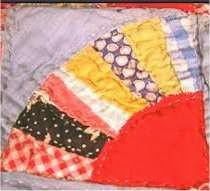 Quilts before the late 1950s used primarily cotton, but sometimes were made of linen or wool. 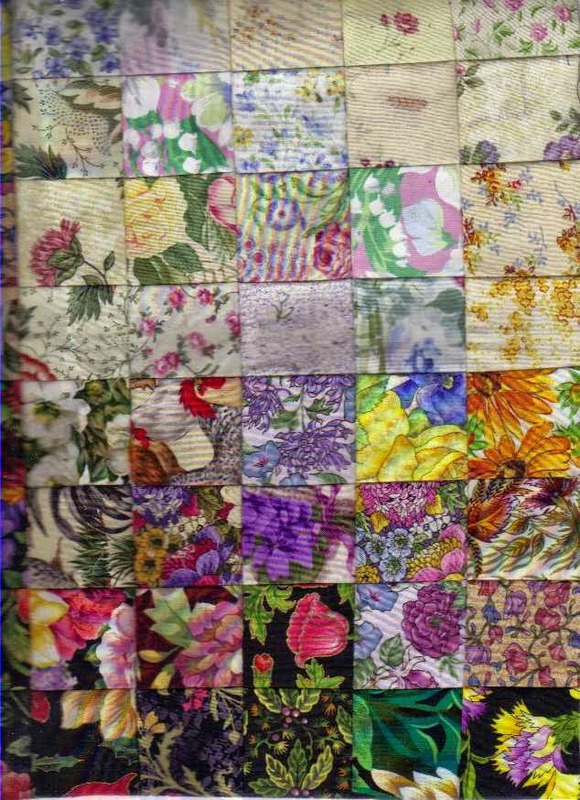 Feed sack prints were common during the 1930s and 1940s, and these were coarse fabrics with small flowers, usually on white or off-white background. Quilts from the 1970s may be double knits fabrics, a heavy polyester that didn't wrinkle, but was heavy and not always comfortable. Look at the Style. Watercolor quilts weren't popular until about 1980 or so, so if you have one, you'll know that the style tells you that it's more recent than that. 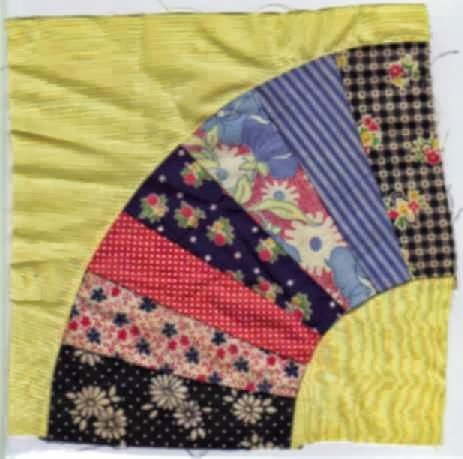 You can check online to see when a quilt pattern or design was developed. Some patterns have been around for more than a century, while other blocks are recent designs by quilting artisans. Look at the colors. Each decade has a color scheme, although the colors weren't as obvious in some decades as others. Colors in the 1950s were teal, chartreuse, pink and gray together, and speckled. The 1960s transitioned from psychedelic to yellow and blue, and by the 1970s, we were into orange and green in large designs. Avocado, coppertone and harvest gold were colors of appliances, and that carried over into fabrics. We saw popularity of soft colors in the 1980s, such as spring green, mauve and shades of purple and blue, and those colors became forest green and burgundy by the 1990s. We're back to a little brighter palette now, after a few years of natural colors, chili pepper red and steel. Use your instinct. Some quilts just look old, and they may be. Others look new. 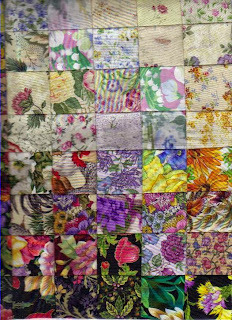 Quilts may be made of old fabrics or old blocks in another decade. We've been working on some 50s blocks for several years, but the quilts, when completed, look new. In fact, a few of the blocks have a yellow poly-cotton fabric added. Study the quilt. Look at the thread used in addition to the color of thread. Imported quilts often use white thread with about 5 stitches to an inch. American quilters like smaller stitches closer together. Cotton covered polyester and nylon quilting thread are signs of a newer quilt than cotton twine. Check the binding and how it's made. Purchased binding has been available for more than 50 years, but many quilters make bias binding from fabrics from the decade of the quilt. The more you examine quilts, the more you'll see the differences in old and new.